The Obligations Group and the Centre for Corporate Law of Melbourne Law School invite you to join us in celebrating the launch by Justice Michelle Gordon, AC, of Dr Rosemary Teele Langford's book - Company Directors' Duties and Conflicts of Interest. Company Directors’ Duties and Conflicts of Interest provides detailed analysis on directors’ duties arising under UK case law, codes and statutory regulation, with extensive reference to the law in Australia, Canada, Hong Kong and New Zealand. 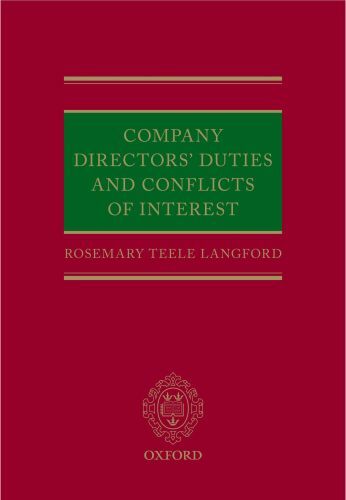 The book provides comprehensive analysis of the conflicts faced by directors, including conflicts of duties, unauthorised profits, corporate opportunities, multiple directorships, nominee directorships, and conflicts involving stakeholders’ interests. The author subjects difficult aspects of these topics to rigorous and original analysis informed by a range of common law jurisdictions. This extensive, multi-jurisdictional examination presents solutions to complex legal issues that have, to date, confounded courts and commentators alike and enables clarification of existing legal approaches. This is both a key reference work set in a practical legal context and an exhaustive and original theoretical re-assessment of this important and dynamic area of company law. 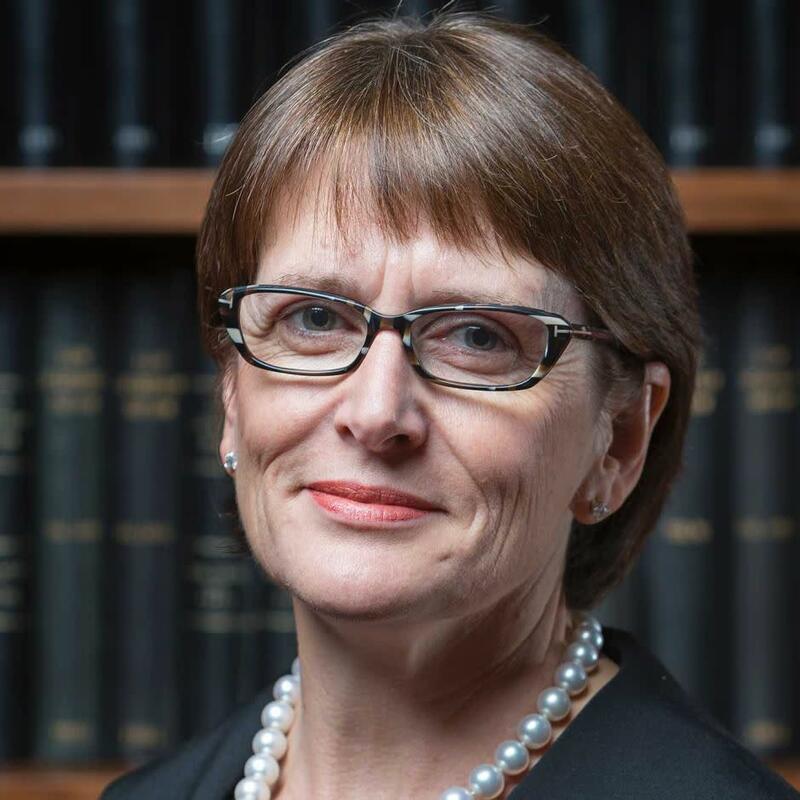 Dr Rosemary Teele Langford is an Associate Professor with the Melbourne Law School, University of Melbourne, where she teaches a broad range of subjects including Corporations Law, Principles of Business Law and Corporate Governance and Directors’ Duties. She has a first class honours degree in Law (as well as a Bachelor of Arts majoring in French and German) from the University of Melbourne and a PhD from Monash University. Prior to entering academia Rosemary practised with Allens Arthur Robinson (now Allens Linklaters). Rosemary edits the Directors' Duties section of the Company & Securities Law Journal and is on the advisory board of the SSRN eJournal, Fiduciary Law. She is an active member of the Corporations Committee of the Business Law Section of the Law Council of Australia and the Not for Profit Law Committee of the Law Council of Australia. Rosemary has published and presented nationally and internationally on the topic of directors’ duties. In June she will commence a three year project on governance and regulation of charities funded by an Australian Research Council grant. Justice Michelle Gordon AC was appointed to the High Court of Australia in June 2015. At the time of her appointment, she was a judge of the Federal Court of Australia, to which she was appointed in April 2007. She graduated in law from the University of Western Australia. 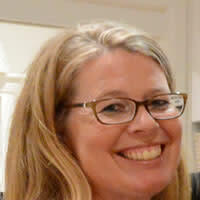 She was admitted to practice in Western Australia in 1987 and joined the Victorian Bar in 1992. She was appointed Senior Counsel in 2003. She practised in state and federal courts principally in commercial, equity, taxation and general civil matters. She was appointed a Professorial Fellow of the Melbourne Law School in July 2015.